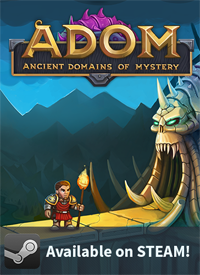 Big Release Day: ADOM 3.3.3 has been released everywhere! It's on IndieDB as a public release (but with less features - see the comparison chart). For all fans of the public version: There were many changes and tweaks in the past year. If you want to catch up check out all the changes listed in our change log since version 3.0.6. 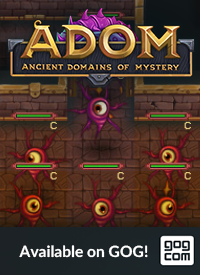 For everyone else: ADOM 3.3.3 just fixes two bugs found in ADOM 3.3.2 and adds a temporary reminder for our ADOM Kickstarter campaign (sorry for the extra click - but small indie publishers need all the attention they can get and we truly value your love and support). We have been funded on day 1. We have unlocked stretch goals 1 (10 more pieces of art for the Player's Handbook), stretch goal 2 (10 more pieces of art for the Game Master's Guide) and stretch goal 3 (16 more pages of random Ancardian goodness for the Gamemaster's Guide). 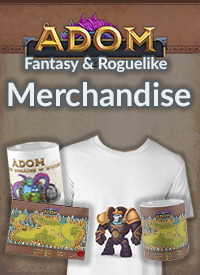 And now we are close to unlocking stretch goal 4 (the GM screen). Next after that are adventures and tons of background stuff about Ancardia. We are working on some good news related to print-at-cost. 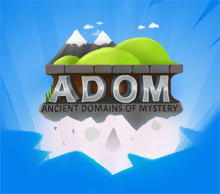 Stay tuned - hopefully we will have great news within two to three days. 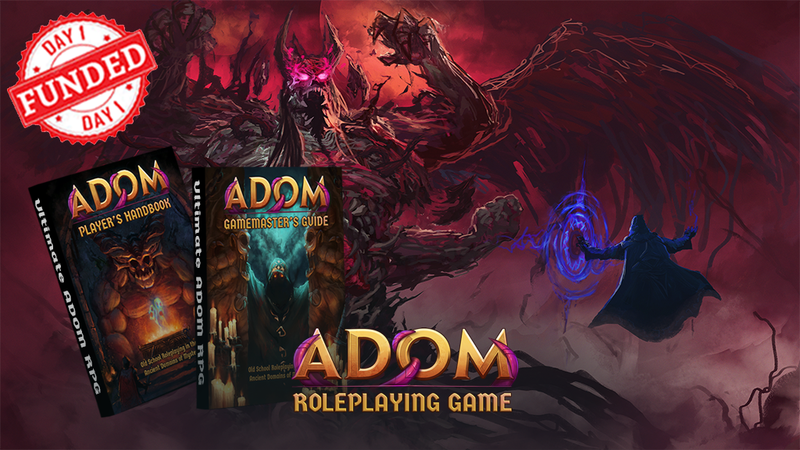 Help us to make ADOM RPG the best OSR RPG ever created!